Before we cover all the things that I have added or will be adding, I want to take this moment to say goodbye to a dear old friend: the yellow disc. These yellow discs that have dutifully and proudly served as the placeholder art for the module connectors since I created the very first prototype of the game in 2013, but now their time is up. Farewell. Adios. In their place, you’ll soon see a new connector, with a design derived from the common berthing mechanism[en.wikipedia.org] (CBM) used on the International Space Station. As far as I’m aware, CBM is not the latest and greatest standard for docking and berthing spacecraft. Chances are that future additions to the International Space Station or even a real future space station will use a different mechanism, possibly IBDM[en.wikipedia.org]. However, I opted to keep my design based on the CBM for gameplay purposes: the four petals that flank the central cover of an (active) CBM give it an iconic shape that makes it an easily recognizable element for players. In the game, the petal doors will animate and open partially whenever you mouse over an unoccupied connector to further indicate that, yes, here is where you can attach new modules. When you click on a connector, the doors will open fully and spawn the build menu. I haven’t finished modeling and texturing connectors yet, but below is a sneak peak of the work-in-progress version I’ve put in the game to work out the animation and interaction kinks. For Vector, I intend to replace all placeholder art that is currently in the game. Earlier, when Vector was first announced, we also revealed a first shot of the new core module (seen in another shot above). I have since refined the design of the core and replaced the old crew quarters model with a new version (and changed the name of the module to “Hab”, which sounds cooler and also is easier on the tongue). I’ve yet to add “flavor” elements, like exposed cables, grapple fixtures[en.wikipedia.org] and other exterior details to the Hab. Those elements will help set it apart from other, similarly shaped, pressurized modules such as the core and the lab. Since such details tend to be less noticeable when you are further away, I’ve decided to add bands of colored panels to each (type) of the pressurized modules to make them even more distinct from each other. While the main focus for Vector is on overhauling the art, I have also spent a good chunk of December optimizing Stable Orbit to make it run faster. A lot faster. 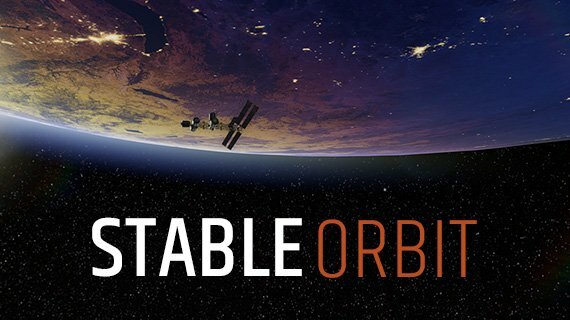 The latest build of Stable Orbit runs about 50% faster on my primary development machine – even after replacing a large portion of the old placeholder art with new, heavier, 3D models. A large portion of the performance increase comes from switching the rendering path from Deferred Rendering[en.wikipedia.org] to Forward. Deferred rendering is advantageous if your game uses a lot of dynamic lights, but there are only one light source in Stable Orbit: the sun. Additionally, I upgraded the post processing from Unity’s Cinematic Image Effects[www.assetstore.unity3d.com] to the newer Post Processing Stack[github.com]. The screen-space reflections effect had to go, though, since it is not compatible with forward rendering. On the other hand, the new color grading is wonderful and will allow me to be a little more artistic with the final image. I have also settled on an anti-aliasing solution for Stable Orbit. I had hoped that switching to forward rendering would have allowed me to offer MSAA as an option, but unfortunately Unity does not yet support MSAA in combination with high dynamic range (HDR). HDR is a critical factor in achieving the stark lighting seen in Stable Orbit. I subsequently tried a whole range of post filter AA solutions (FXAA, SSAA, temporal AA, etc), but those all failed to produce satisfactory results. In the end, I threw down the gauntlet and opted for a 2X super-sampling filter. Jaggies be gone! With UI overhaul completed in Electrolysis Update and the new art and graphics changes coming soon with Vector, Stable Orbit is beginning to look closer and closer to the game I envisioned making when I started out. Therefore, once this next update is done and dusted, I will shift my focus toward implementing more of the gameplay I envisioned as well. First up, will be a new science system that will allow you to do more than just earn money with your labs!